From September 4th - 6th artist Gretchen Andrew will be exhibiting paintings and films made while recording video with Google Glass. 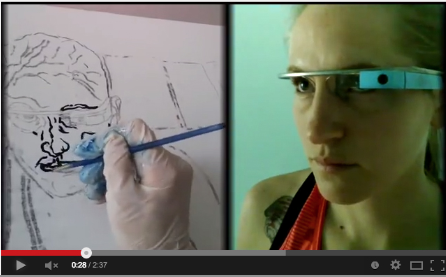 The artist uses Google’s wearable technology product to capture her artistic process in and out of her studio in East London. 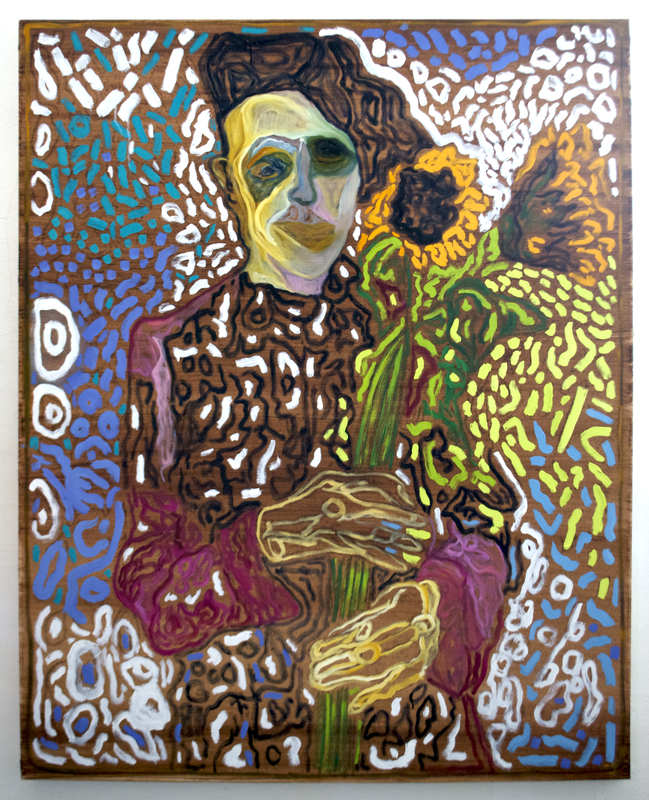 Gretchen’s new body of work provides a unique insight into the impact of technology on art. The Barbican’s “Digital Revolution” exhibition, which opened in July, piqued London’s interest in the connection between art and technology. Compared to the artwork at the Barbican, Gretchen’s exhibition spans traditional oil painting and cutting edge technology. The result is an investigation into how new art forms are impacting traditional ones. 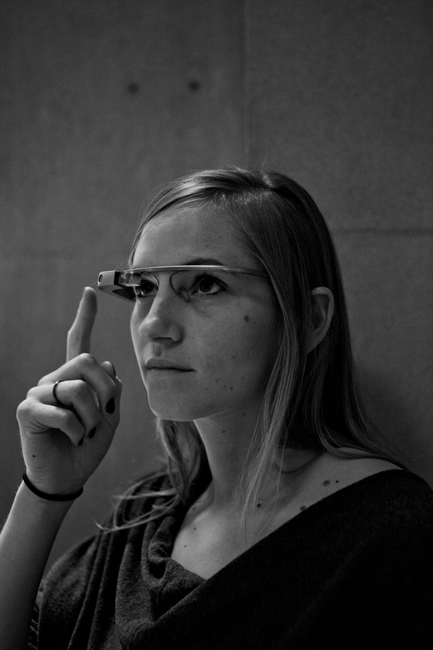 While Google Glass become available to Londoners for public purchase in July of this year, Gretchen has had the device since June 2013 when she was selected as the only artist in Google’s “Glass Explorer Program.” Since then her artistic work with Google Glass has led to work with The Metropolitan Museum of Art, The Victoria & Albert Museum and The British Film Institute. 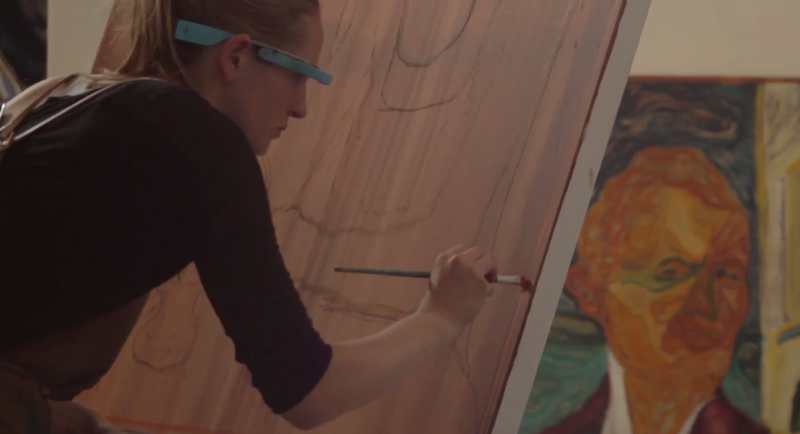 “Gretchen exemplifies the type of constituent that museums immersed in the digital culture should work to inspire and connect with,” said Neal Stimler of The Metropolitan Museum of Art in response to a Google Glass collaboration Gretchen completed with the museum. Gretchen Andrew’s free, public exhibition will take place September 4, 5, 6 at The White Building Unit 7, Queens Yard, White Post Lane, London E9 5EN with the Opening Celebration Thursday September 4th 17:00 - 21:00. Exhibition continues Friday 5th 11.00 – 18:00, Saturday 6th 15.00 – 18.00. * For more information regarding media usage, ownership and rights please contact Gretchen Andrew, Artist.